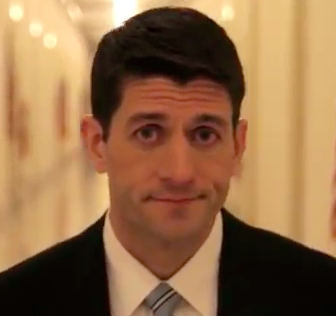 Mitt Chooses Running Mate: It’s PAUL RYAN! The long wait is over. : Mitt Romney has selected Rep. Paul Ryan to be his running mate. : The weeks leading to this moment was beyond stressful for conservatives. : Will Romney go bold and pick Ryan, Jindal, or Rubio— or be boring and select Sen. Rob Portman of Ohio or former Minnesota Governor Tim Pawlenty. : I’ve been against picking members that constitute the point of the lance of the conservative moment for the number two spot for the simple reason that, historically, the VP position is where political careers go an die. : We are going to need Jindal, Ryan, and Rubio, who are all very young, to fight the left-wing dependency agenda in the future and cannibalizing their political careers didn’t seem like a rational choice. At the time, Romney and Obama were tied in the polls. It wasn’t like the 2008 hail mary pass McCain took with Sarah Palin to boost support— a move that turned out to be the only good decision his team made during that tumultuous campaign. : However, with Obama leading by nine: in the most recent poll, it was time to be bold. : While I still feel the American people like the president personally, which explains his lead, it was not a time to over-analyze. With Mr. Ryan, Romney has chosen a running mate who is intelligent, vibrant, and articulate. Ryan is a conservative candidate who understands the philosophy and disseminates its message well. : I’m confident he won’t have any ‘Andrea Saul’ moments. This is a key element for the conservative base, who are still apprehensive about Romney’s “severely” conservative credentials. : Ryan is also : the brainchild for the Roadmap that will get this nation back on a track to fiscal health. : : He knows the budget. He knows that popular programs will need to be heavily reformed, cut, or dissolved. : He’s bold. : As a result, : I expect the Vice-Presidential debate to nothing short of entertaining. Ryan will also certainly beef up the vision of America Mitt Romney is trying to illustrate— as a nation still committed to the Madisonian experiment of limited government. : Lastly, according to Business Insider last July, a Romney/Ryan ticket could win the youth vote. Here’s an interesting find: from Public Policy Polling in its Wisconsin poll out Wednesday:: Rep. Paul Ryan: could be an asset to: Mitt Romney: as a vice presidential pick. Though: President Barack Obama: has a 6-point lead in Wisconsin over Romney, Ryan narrows the gap to a statistical dead heat in the crucial state. Here’s an even more surprising finding: the 42-year-old Ryan could help Romney win the youth vote, at least in Wisconsin. PPP found that a Romney-Ryan ticket would actually win the 18-to-45 age group: in Wisconsin over an Obama-Biden ticket. This is the first poll that has found that Ryan would have a substantial effect on the youth vote. Part of the reason is that Wisconsinites view Ryan favorably, whereas state and national polling has found Romney with an overall negative favorability rating. Forty-four percent of Wisconsinites: say they have a favorable opinion of Ryan, compared with 39 percent that do not. He has a 45 percent favorability rating with Independents. : And 52 percent of 18-to-29-year-olds view him favorably. Obama leads the head-to-head race in Wisconsin, 49 percent to 43 percent. But when Ryan is added to the theoretical ticket, the gap narrows significantly. An Obama-Biden ticket would only lead a Romney-Ryan ticket by a single point: 47 percent to 46 percent. Yes, I agree that Mr. Ryan is an excellent choice. : I still may not like the timing, but he’s certainly dynamic and qualified for the position. Mitt Romney: has selected House Budget Committee Chairman Rep.: Paul Ryan: (R-Wis) as his running mate, and will unveil the ticket at an event in Norfolk, Va. Saturday morning, Republican sources confirmed…The move is a bold choice for Romney and one that a number of conservatives had urged him to make in recent weeks, with some of: the loudest calls: coming from the pages of the Weekly Standard and the Wall Street Journal. Wisconsin, Ryan’s home state, has been ground zero for one of the major fights over public-sector unions – and it’s a state where, after Scott Walker defied a gubernatorial recall effort, Republicans are hoping to succeed in the fall. He is the first House member to be selected as a vice presidential contender since Geraldine Ferraro in 1984. Late Friday night, the announcement was previewed in a press release from the Romney campaign and a tweet from Romney’s communications director. The Ryan unveiling will take place at 9 a.m. Saturday morning as Romney, presumably with the 42-year-old congressman by his side, launches a four-day bus tour through Virginia, North Carolina, Florida and Ohio. Late Friday night, as: speculation gathered: that Ryan was the pick, a source deeply involved in the vetting process said “the obvious clue is in the Romney press release” – alluding to the Norfolk event taking place at the USS Wisconsin. This same source indicated that Romney had made his decision some time ago and that the other finalists had been playing the role of decoys. By announcing now, at a moment when he’s: dropping in the polls: and facing rising criticism, Romney has the opportunity to change the conversation about his campaign. And in tapping Ryan, who is serving his 7th term in the House, the GOP nominee will immediately put a stop to conservative second-guessing about his campaign’s strategy. In June, Ryan was one of several possible vice presidential contenders who joined Romney on his bus tour, which was seen as a running mate tryout. Romney made one stop in Wisconsin on that tour – to Janesville, Ryan’s hometown. Wisconsin is one of 12 swing states that will be critical in determining the outcome of the 2012 election. Obama leads by 5 points there, according to the Real Clear Politics average, but the selection of Ryan turns the state into a toss-up. A July survey from Public Policy Polling showed Obama leading Romney in Wisconsin 50 percent to 44 percent, but that lead would shrink to 47 to 46 percent with Ryan on the ticket. A rising star in the Republican Party, Ryan became a nation figure with his budget proposal, which called for reducing the federal deficit almost entirely through spending cuts. In all, we have a solid conservative to balance the ticket. : With eighty-six days until November 6th, it’s time for Mitt, with the help of : Ryan, to unleash the fury on Obama. In doing so—I’m sure victory will be assured on Election Day. : Romney/Ryan 2012! 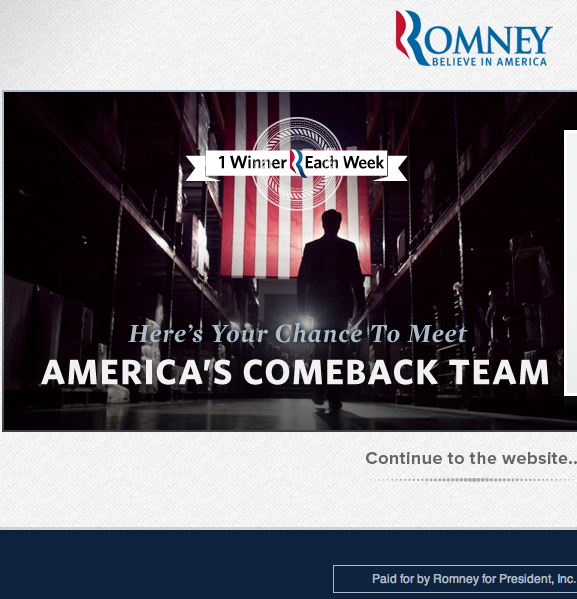 Visit romneyryan.com for more details. P.S. I’m sure Ali Akbar and Robert Stacy McCain are beyond ecstatic.